These sterling silver Celtic stud earrings feature a spiral motif. These sterling silver Celtic earrings feature small studs that are enhanced with a spiral design. 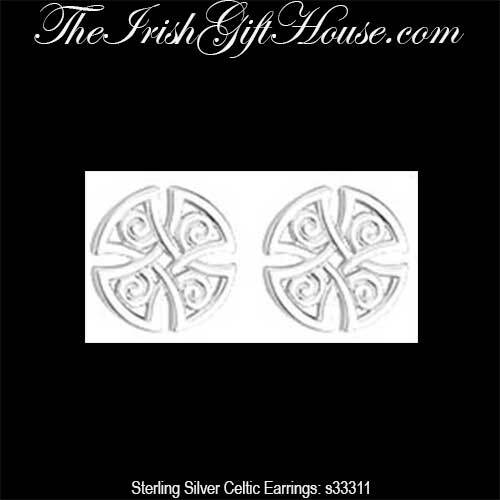 The Celtic stud earrings, with butterfly backs, measure slightly larger than 1/4" diameter.